Up early to water and some digging. My plug plants should arrive soon and will need a home – though the swedes should have been with me on Friday and appear to be missing in the post. The Muscat de Provence is growing at an amazing rate and is forming a fair few fruit. The one I pollinated from a Queensland Blue flower is not set and (warning, incoming geekery!) after a bit of research now I know why – QB is a c.maxima and MdP is a c.moschata and these don’t cross-pollinate. Most of the winter squashes I am growing are c.maxima, so will be ok to use the flowers between them to make sure I get squash. Geek-style note to self: For MdP females I need to use a male flower from the black futsus or waltham butternuts, if the MdP doesn’t have any. 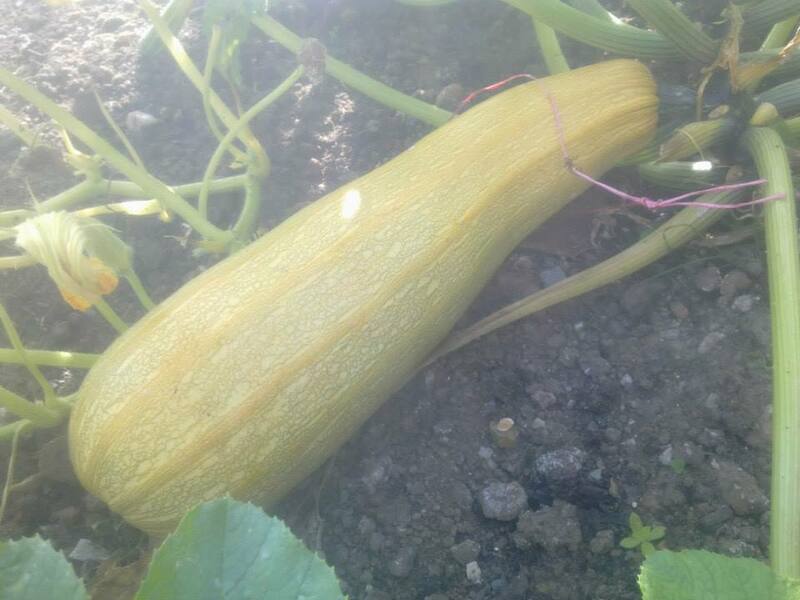 Thelma Sanders is a c.pepo and the only c.pepo winter squash I am growing this year. But courgettes are also c.pepo and I can use the flowers from those if there aren’t any on the TS vines. For next year, it would be better to plant them in family groups so I have less to remember – I have made a handy chart. I need to bag the male flowers as well as females the night before as the insects are stripping the male pollen really quickly. I am sure this is could be another reason so many haven’t set. I still have no Crown Prince (5 fruit now failed) and only one Tonda Padana – though this might be a good thing as it is BIG! Much bigger than I thought! And only one Potimarron, which is a real shame as I liked them best last year. One of the saved Genovese courgettes is definitely better than the other – larger and seems to be ripening/yellowing more evenly, so those seeds are definitely going for the circle. Also note to self: Tomatillos grow really big, like umbrellas. Cape gooseberries also grow big and sprawly. Planting them all close together is a bit like grow your own jungle. Planting out squash & beetroot under them is a terrible idea. Edit to add – ordered 60 saffron bulbs and some banana shallots from Suttons as very early birthday present from me to me.